Seahorse (6 inches tall). Note the algae growing on her. 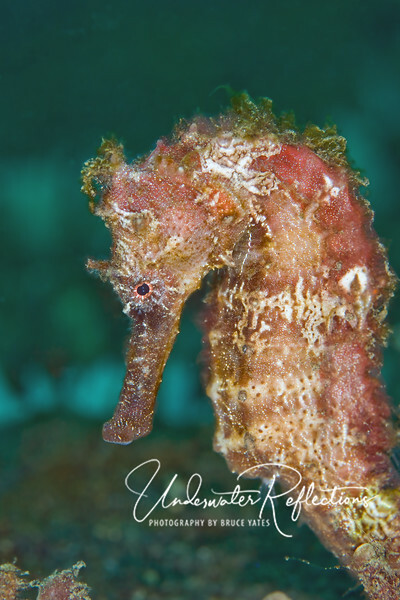 Seahorses spend most of their time motionless, so this "hairy" look of algae is normal. I particularly like the little Betty Boop curl on this particular one's forehead!